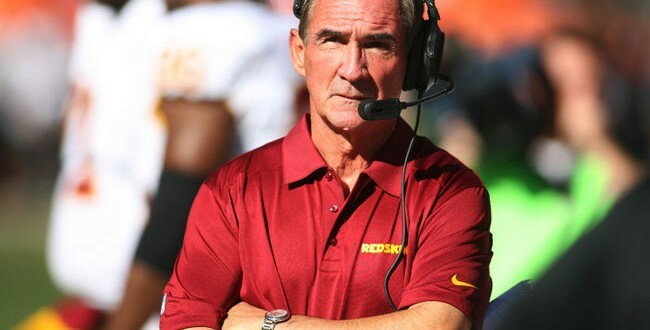 Home » Sports » Redskins coach Mike Shanahan firing coming Sunday? Redskins coach Mike Shanahan firing coming Sunday? What do you think about this whole mess? Will firing Mike Shanahan fix the problems plaguing the Redskins? It’s being reported that Sunday will be Mike Shanahan’s last day as coach of the Washington Redskins. The Washington Post cites “multiple people familiar with the situation” as saying that Shanahan will be fired after Sunday’s 20-6 season finale loss against the New York Giants. The only question, the Post says, is whether he will be let go Sunday or Monday. ESPN reported that Shanahan’s firing was “imminent” and “expected” but they also sourced the Washington Post. Also certain is that Redskins were 3-13 this season and finished with an eight-game losing streak, their longest since 1960-61 season. They now tie the franchise record with 13 losses. Shanahan is 24-20 in his four years as the Redskin’s lead coach. If he was released from contract, which has one year left, he would be owed about $7 million.